You may have seen my intro post...I am Rad Justice. Over the last years since I first joined the Forums i was a new rider and a Clydsdale (273 lbs). I am down to 184lbs which is great but presents a gear problem. I have ridden assos t.cento_s7 bib shorts - for the last couple of years. They are a high end bib that helps with some of the "issues" that come with riding multiple Centuries and the associated training. These bibs retail for $299.00-329.00. I have gone from XL to Medium. I have now three XL bibs that are used but in good condition. I have actually "stalked" the internet and have bout used medium bibs (4 pairs). The difference is the cost was $100-150.00 per bib (USED). Rather that try to figure out EBAY and Amazon, I thought I would offer the 4 bibs here as a "bundle" for $300.00. 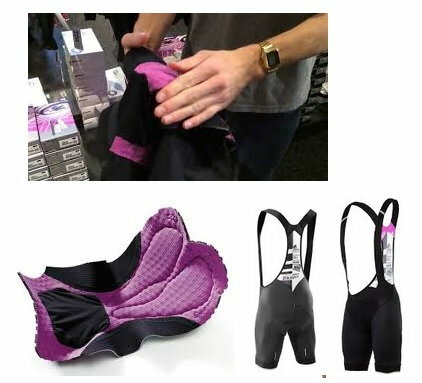 These bibs will change your life....or at least your riding experience in terms of comfort and time in the saddle. (description and pictures below). Tailored for total comfort during ultra-long rides, the Assos T.cento_s7 is the perfect long-distance bib short. The exclusive Type.439 multi-dimensional compression Spandex provides superior compression and support to increase output and muscle recovery, while the redesigned bib straps features improved ventilation and seamless construction to provide a body hugging fit for perfect security. Designed for comfort, these shorts have a less restrictive fit on the waist and abdominal areas. The new long-distance insert cushions sensitive areas and eliminates performance-robbing friction with its seamless construction and three-dimensional freedom of movement.